Adobe decided to no longer develop the Flash Player for mobile browsers. It has announced that Flash Player 11.1 is the last version of Flash for mobile devices. • Adobe wanted to shift more resources to HTML5, and dropping Flash for mobile frees them to do so. 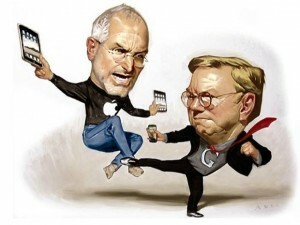 No matter what’s been said, the fact is that the reason of the decision is the battle between Adobe and Apple. Adobe’s decision says that it has lost the game.